**Before we get started with TTT, have you seen that signups are open for our 4th annual Secret Santa?? This week we are talking about sequels we can't wait to get our hands on! 1. Of Neptune by Anna Banks. I just recently discovered there is going to be a third book in this series, which surprised me because the second one ended so neatly. I'm looking forward to what Banks has got in store for the Syrena. 2. Emerald Green by Kerstin Gier. I know this one is already out, but I have been waiting for this one for MONTHS. I can't wait to find out how it all resolves! I'm hoping to get a copy of the audiobook, so I might make myself wait a little longer. If you haven't read this series, you really should. It starts with Ruby Red and continues in Sapphire Blue, ending with this one. 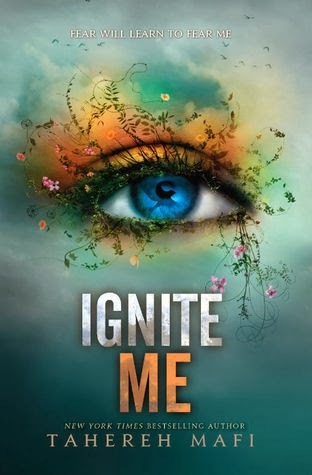 Ignite Me by Tahereh Mafi: OMG I need this now. I know Tahereh Mafi is going to make this series EVEN better after this one. I know it. And honestly we all need to know what happens regarding Warner/Juliette/Adam and WILL WE SEE ANOTHER CHAPTER 62?? 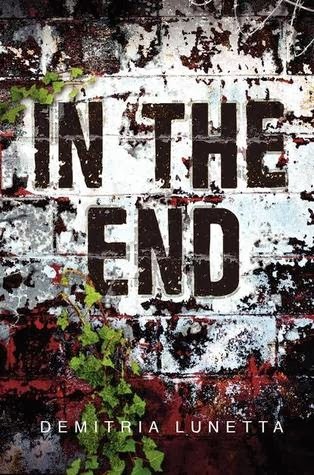 In the End by Demitria Lunetta: I can't wait to see where this story is going after how In The After ends. As far as I know this is only 2 books so I am excited for the conclusion after the revelations at the end! 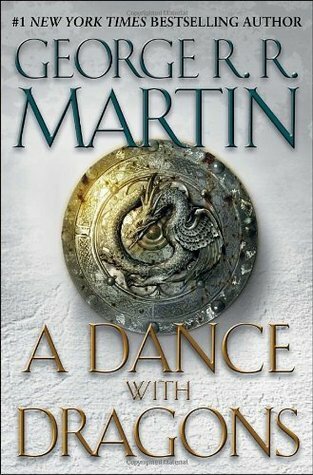 A Dance With Dragons: I know that this book has actually been out for 2 years at this point. But I haven't read it yet because I have been waiting for the mass market paperback to come out because I need my bookshelf to match. Thankfully it finally came out on Tuesday and you can bet that I will be picking it up as soon as I finish reading my current book. This is so hard for me! I have so many series I'm impatiently waiting for the sequel to come out! Untitled sequel to The Burning Sky by Sherry Thomas: OMG! SO MUCH LOVE FOR THE BURNING SKY!! I cannot wait to find out what happens next for Iolanthe and Titus! Unhinged by A.G. Howard: I absolutely LOVED Splintered and I need more Morpheus in my life! So happy this is going to have a sequel and I can get my hands on it soonish! Ruin and Rising by Leigh Bardugo: THAT ENDING! AAAAAH! Also: Sturmhond. I really don't even need another reason to want this. 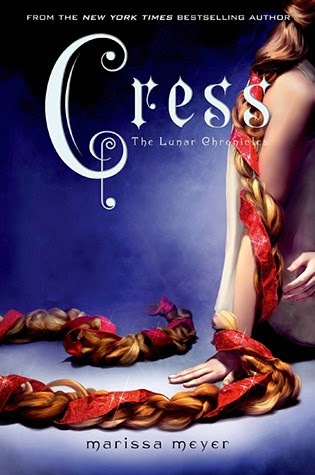 Cress by Marissa Meyer: I absolutely loved the first two books in the Lunar Chronicles series, thus I cannot wait for the thirds installment! 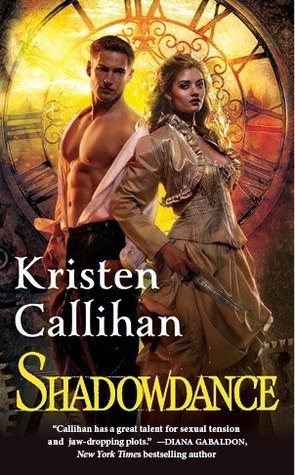 Shadowdance by Kristen Callihan: It is no secret that I absolutely adore the Darkest London series. I cannot wait to see where they take it now that we've seen all three books of the sisters. What are YOU guys excited for?? Great picks, I have quite a few of these on my own list as well. And Paula, look on the bright side: the longer you wait for A Dance with Dragons, the shorter the time will be between finishing it and The Winds of Winter's publication date. I need to catch up on the Lunar Chronicles series - I've just read book 1! Nice list. Great picks, I'm currently reading A Storm of Swords by George R.R. Martin and can't wait to start book 4 soon! Cress definitely made my list too! Great picks! I've got Cress & sequel to The Burning Sky on my list too. OMG both of these series are so awesome. I need Cress & Ruin and Rising so bad! Sturmhond is a perfectly good reason for wanting it. I'm so excited for Unhinged too! I love that Cress made so many of our lists! I also have The Song of Ice and Fire series in mass market paperbacks but I haven't started them yet. They are on my winter TBR though! I'm definitely looking forward to Cress too! As I'm reading through some of these posts, it's becoming clear how many series I have yet to start. I have a lot of reading to do! Hiya, we're a new blog that's a collaboration of established bloggers. 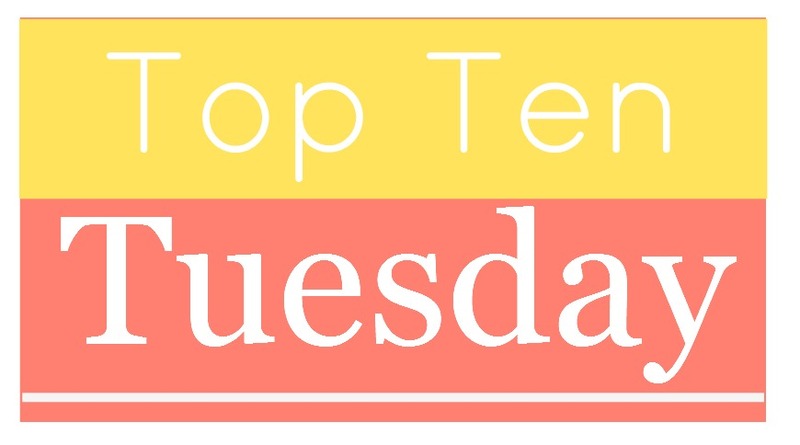 This is our first Top Ten Tues and I hope we'll continue to take part! Thanks for the great weekly inspiration! I have had the Lunar Chronicles series on my TBR list for a LONG time. I really need to read those in time for the release of the Cress. I also have A Dance with Dragons on my list. Ignite Me and Cress are books I'm looking forward to reading too! And Ruin And Rising. Great list this week! "Ignite Me" made our list, too! I am excited and terrified of that one, lol. I totes agree with Julia's selections! I had forgotten about "Cress" but I am so looking forward to it! I forgot "Cress", dangit!!! 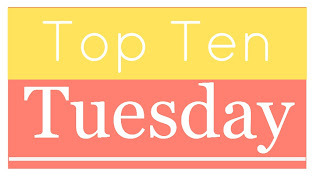 This is my first Top Ten, so I hope somebody will stop by and leave me a comment - pretty please? Thanks, Roxy. I'm fascinated with the Lunar series. Haven't read them yet. What will Cress be about? I don't red many series but I did find a few books I am waiting for. Still, a fabulous idea. I think I may have accidentally linked my blog twice, but now I can't see it, so...if I did, sorry! I think pretty much everyone has Cress on their list. I'm really excited for that one. My copy for Emerald Green is on it's way so I am really excited to dig into it when it gets here! Great list! I cannot wait for Ignite Me!!!! And Of Neptune is going to be very exciting as well... So many amazing sequels are coming out soon! Wow, eclectic choices! I'm so behind all the bookish trends, need to catch up on some! Oooo Cress! I missed that one for my list =(! I'm the same with A Dance with Dragons, I was waiting for the Mass Market paperback because the hardcovers are just so bulky. It's over 1,000 pages! I was also waiting till I got it to read A Feast for Crows because I heard they were meant to be one book so I wanted to read them back to back. Julia and I have the same taste. I am dying for both Shadowdance and Cress. IGNITE ME!!!! Seriously, this whole book should be a long chapter 62. Great picks guys! I am about to start A Feast for Crows, and then I look forward to starting Dances with Dragons! Awesome list! Ignite me and Dance with Dragons are on my list to read! I can't wait till Ignite me comes out! I love that series! I've just found recently your blog when I was searching for English blogs about books to have contact with other bookfans from all over the world. I really like your TTT idea. I've started a blog few months ago, it is also mostly about books but its in Hungarian, not English. Do you think I could join you for TTTs if I write those posts both in Hun and English? I'm terrible for needing my booksehlf to match! Been putting off quite a few purchases waiting for the paperbacks. I'm a long-time lurker (yeah, I'm very nosy!) but with my new crime/mystery/thriller blog launching I thought I'd join in.